UPDATE: This map has been changed to show the Kent County fiber optic backbone segments that were constructed as part of the public-private partnership. To view the list of segments, click on the box with the arrow in the upper left hand corner of the map. You can zoom in on the map and click a segment to see progress of the segment closest to your area. Please note this map will be updated every week. Due to the completion of the 110-mile backbone and the majority of anchor sites connected, construction updates will no longer be posted. Please visit the "Available Services" section on the FAQ page for more information about services available to residents and business. Service is now available at the Butlertown Water Tower. 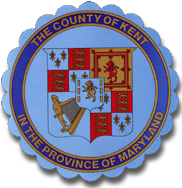 Fiber service is now available at the Kent County Detention Center. Fiber is now lit at Betterton wastewater treatment plant. Fiber at Chestertown Hospital is now lit. Fiber at Chestertown Visitor Center is now lit. Public WIFI is available at Bayside Pool. Public WIFI is available at Rob Vanary Park. Started permit preparations for conduit construction to Kent County Emergency Services on Vickers Lane. Construction continuing to additional anchor sites. Public WIFI is available at Millington Pool. Public WIFI is available at Kennedyville Firehouse. ONT has been installed at Bayside Pool and is now lit. Kent County High School Stadium public WIFI service is available. Chestertown Middle School is now lit. Edesville Water Tower ONT has been installed and public WIFI service is available at Edesville Park. Chestertown Firehouse is now lit. Rock Hall Main Street public WIFI service is available. ONT has been installed at Millington Pool. Rock Hall Main Street ONT has been installed. Betterton Park public WIFI service is available. Tolchester Fairgrounds is now lit and public WIFI service is available. Rock Hall Volunteer Fire Company is now lit. Kent County Courthouse is now lit. Kennedyville Fire House is now lit. Construction has been completed at Kent County Middle School. Construction has started for Chestertown Middle School. Construction/building penetration has been completed for the Chestertown Visitor Center. ONT installation is scheduled. Construction on Segment 19D has been completed and fiber has been installed. Construction for the States Attorney's Office and Fountain Park has been completed, fiber has been installed, and sites are now lit. The Final Splice celebration was held at Washington College on Thursday, May 24th. Construction continuing on Segment 19D. Fiber installed at Garnett Elementary and Rock Hall Elementary. Construction continuing on Segment 19D. Fiber has been installed on Segment 12. Construction has started on Segment 19D. Fiber being pulled along Segment 12. Construction continuing along Segment 12 Quaker Neck. Construction continuing on segment 12 towards Pomona. Proposed locations on segment 19 have been finalized and is awaiting approval. Continuing construction along segment 12 Quaker Neck. Marking for the remaining 2,200 ft left on the backbone in Chestertown. Working with the town on box placements. Segment 19C in Chestertown has fiber installed and tested. Segment 18 in Rock Hall is complete and awaiting test results. Conduit contstruction is continuing on segment 12 in Quaker Neck. Segment 19D in Chestertown is in initial engineering phase. Laterals to the following anchor sites have been completed: 400 High St, Chestertown Library, HHGES, Rock Hall Town office, Rock Hall Civic Center, RHES, and Gratitude Water Tower. Construction along segment 12 Quaker Neck. Construction to Rock Hall Civic Center, Rock Hall Town Office, and Rock Hall Beach has been completed. Construction has been completed along Philosophers Terrace. Fiber installation is continuing in Rock Hall on segment 18. Construction has started along Philosophers Terrace. Fiber is being installed in Rock Hall on segment 18. Underground construction complete and fiber pulled along College, Calvert, Kent, High, and Mill St. Construction underway along Brown, School, and E. Campus. Segment 18 in Rock Hall nearing completion. Construction has started along High St., Calvert St., N. Kent St., and N. Mill St. in Chestertown. Conduit construction continuing along Rock Hall Ave. and Chesapeake Ave. in Rock Hall. Construction complete at Betterton Park. Construction continuing along Rock Hall Ave.
Construction continuing along Rock Hall Rd. Segment to Board of Education under construction. Segment to Betterton Park under construction. Construction complete to two Worton utility sites. Segment 18 - Construction along Chesapeake Ave, Bayside, and Beach Rd in Rock Hall. Construction for Millington Pool and Worton Park is now complete. Dark fiber provider reorganization and asset acquisition by Kent County Government and Kent Fiber Optic Systems. Segments 10 and 31 are now lit. Fiber installed and tested at Tolchester Water Plant and Edesville Water Tower. Construction complete for Tolchester Water Plant and Edesville Water Tower. Construction on County anchor sites will commence early next week. FTS is in an engineering/planning phase for continued construction in Rock Hall and Chestertown. FTS working with the town of Rock Hall to locate underground utilities. Construction beginning on sub-segments 19a, 19b and 19c (Chestertown). Fiber installed and tested from Kent QA Rescue on Segment 11. Fiber installed and tested from FWP on Segment 10. Locates are being worked out on Segment 18. Construction has started on segment 19B. Construction complete on segment 10. Fiber is being installed on segment 11. Fiber on segment 22 is now lit. Fiber is being installed along Segment 10 and 11. Construction continuing on Segment 32. More anchor sites have been connected. Fiber is being installed along Segment 10. Construction continuing on Segments 11, 32. Locates are being entered for the down town Rock Hall loop Segment 18. Construction is progressing on segments 11 and 32. Segment 18 is construction ready. Fiber is being installed on segment 10. Construction is complete on segments 9 and 31. Construction progressing on segment 10. Fiber being installed on segments 9 and 31. Fiber installation has begun on segments 9 and 31. Construction has begun on segment 22 and is progressing on segment 10. Construction on segment 27 has been completed. Conduit installation for Galena Waste Water Treatment Plant has begun. Segments 9, 10, 27 and 31 are progressing with construction. Segments 9, 10, 27 and 31 are progressing with construction. Will be working to get FWP turned up with an ONT on Thursday/Friday so Segment 1 and 5 can be lit. Segments 9, 10, 27 and 31 are progressing with construction. Segment 21 is now lit. Construction continuing on segments 9, 10, and 31. Construction has begun on segments 9, 10, 21, 27 and 31. Galena and Betterton Fire Department "lit". Worton to Fairlee construction complete. Construction on segments 1 and 5 has been completed. Construction on segments 1 and 5 scheduled for completion within the week. Conduit construction on segments 9, 10, and 31 to begin within the week. Construction begins on segment 21 and 27. Chestertown to Fairlee construction complete; Crews working on Segments 1 and 5, and Kennedyvile Fire Department. Betterton and Galena Fire departments have fiber installed and Humane Society has lit service. Galena through Sassafras to Millington has been tested. With segments 25 and 30 completed and spliced, a fiber ring is now available allowing for redundancy across the phase 1 build. Construction continues on segments 1 and 5, and within the Worton school campus. Construction is completed on segment 25. Groundbreaking on segment 1 has begun. Installed and tested connectivity for Galena Elementary School. Chestertown to Millington has been "lit". Construction is complete on segments 2 and 3. Fiber is lit on segments 7, 13, 15, 23, and 26. Continued work on segments 2, 3, and 25. These segments should be completed next week. Conduit installed on segment 25. Fiber currently being pulled on segments 17 and 3. Conduit being installed at Worton Campus and Grounds Maintenance. Fiber installation for Betterton Town Hall is completed. Fiber installation for Betterton Town Hall has started. Fiber installed on segments 6 and 14. Fiber installed on segments 15 and 23. Fiber has been installed at Galena town office and Kent and QA Rescue. Worton campus conduit installation is near completion. Fiber installation in progress on segment 14 and 15. Segment 26 has fiber installed and currently being spliced and prepared for testing. Segment 16 and 29 fiber install completed. Worton Campus has begun construction. Segment 8 construction complete. Railroad crossings on Segment 26 and 16 are complete with fiber now being placed. Segment 5 updated from Permit Submitted to Construction Ready. Segment 19 updated from Permit Submitted to Construction in Progress. Segment 1 updated from Permit Submitted to Construction Ready. "We are currently connecting Washington College to ThinkBig Networks office, which means we are connecting FTS’ fiber to Maryland Broadband’s network" - FTS Fiber. Segment 21 updated from Permit Submitted to Construction Ready. Segment 4 updated from Construction in Progress to Construction Complete. Segment 25 updated from Permit Submitted to Construction Ready. Segment 8 and 15 updated from Construction Ready to Construction in Progress. Segment 17 updated from Permit Submitted to Construction Ready. Segment 8 updated from Permit Submitted to Construction Ready. Segment 11 updated from Permit Preparation to Permit Submitted. Segment 15 updated from Construction Ready to Construction in Progress (starting 10/19). Segments 32 and 33 updated from Permit Preparation to Permit Submitted. Update given to Millington Town Council. Update given to Galena Town Council. Segment 3 and 23 updated from Construction Ready to Construction in Progress. Segment 15 updated from Permit Submitted to Construction Ready. Segments 16 and 29 updated from Construction Ready to Construction in Progress. Segment 32 updated from Field Surveying in Progress to Permit Preparation. Segment 32 updated from Pending to Field Surveying in Progress. Segment 33 updated from Field Surveying in Progress to Permit Preparation. Segments 2, 4 and 24 updated from Construction Ready to Construction in Progress. Segment 7 updated from Construction in Progress to Construction Complete. Segment 11 updated from Field Surveying in Progress to Permit Preparation. Segment 26 updated from Construction Ready to Construction in Progress. Segment 11 updated from Pending to Field Surveying in Progress. Segment 29 updated from Permit Submitted to Construction Ready. Segment 9 and 10 updated from Permit Preparation to Permit Submitted. Segment 12 updated from Field Surveying in Progress to Permit Preparation. Segment 26 updated from Permit Submitted to Construction Ready. Segment 4 updated from Permit Submitted to Construction Ready. Segment 5 updated from Permit Preparation to Permit Submitted. Segments 12 and 33 updated from Pending to Field Surveying in Progress. Millington updated from Field Surveying in Progress to Permit Preparation. Segments 6, 7, and 14 updated from Construction Ready to Construction in Progress. Segment 24 updated from Permit Preparation to Construction Ready. Segments 2 and 3 updated from Permit Submitted to Construction Ready. Segment 9 updated from Field Surveying in Progress to Permit Preparation. Segments 13 and 28 updated from Construction in Progress to Construction Complete. Segment 31 updated from Pending to Permit Preparation. Segment 17, 26, and 29 updated from Permit Preparation to Permit Submitted. Segment 22 and 27 updated from Permit Submitted to Construction Ready. Segment 30 updated from Field Surveying in Progress to Permit Preparation. Segments 6 and 7 updated from Permit Submitted to Construction Ready. Segment 28 updated from Construction Ready to Construction in Progress. Segment 14 and 28 updated from Permit Submitted to Construction Ready. Segment 22 updated from Permit Preparation to Permit Submitted. Segment 30 added – Field Surveying in Progress. Segment 31-32 added – Pending. Segment 1, 16, and 25 updated from Permit Preparation to Permit Submitted. Segment 5 updated Field Surveying in Progress to Permit Preparation. Segment 9 updated from Pending to Field Surveying in Progress. Segment 10 updated from Field Surveying to Permit Preparation. Segment 18 updated from Pending to Permit Preparation. Segment 29 added – Permit Preparation. Segment 1 and 19 updated from Field Surveying in Progress to Permit Preparation. Segment 8 updated from Permit Preparation to Permit Submitted. Segment 10 updated from Pending to Field Surveying in Progress. Segment 13 updated from Construction Ready to Construction in Progress. Segment 20 updated from Permit Submitted to Construction Ready. Segment 28 updated from Permit Preparation to Permit Submitted. Segments 1, 5, and 19 updated to Field Surveying in Progress. Segments 8, 16-17, 22, 25-26, and 28 updated to Permit Preparation. Segments 2-4, 6-7, 14-15, 20-21, 23-24, and 27 updated to Permits Submitted. Segment 13 updated to Construction Ready. Segments 9-12 and 18 Pending. Creative Commons Attribution 2.0 Generic License.